A Chatterbait fished alone will catch lots of bass, but adding a soft plastic trailer will enhance your chances of catching even more fish. The Chatterbait itself has plenty of action and vibration for attracting bass, yet you can add more bulk, buoyancy and action to the lure with a plastic trailer attached to the bladed jig. 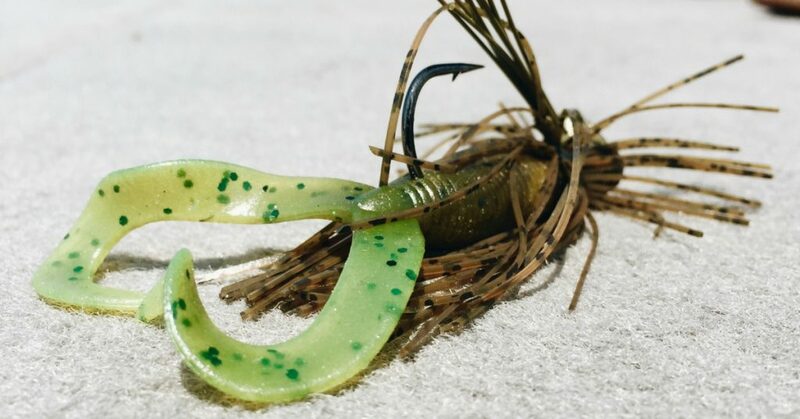 You can also add more color to your Chatterbait by attaching a plastic trailer in a contrasting hue. 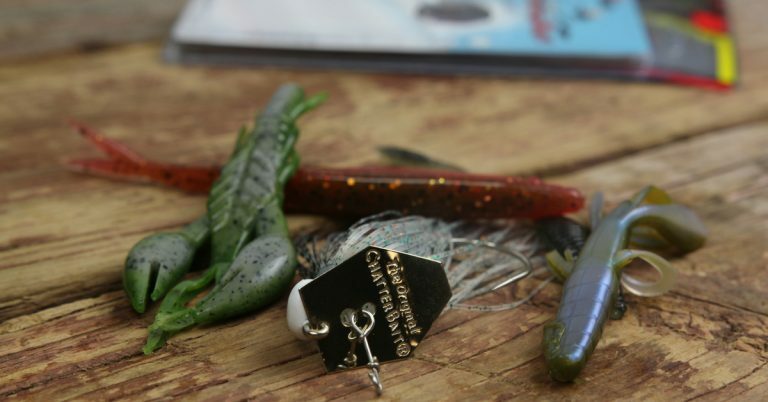 A variety of soft plastics including toad-style baits, paddletail swimbaits and beaver-style baits can be attached to a Chatterbait, but here’s a look at three of the best trailers to enhance a bladed jig. This is the trailer I use most frequently on my bladed jig to give the lure some added length and increased tail action. This style of trailer works best as a finesse presentation of a Chatterbait when bass are finicky due to fishing pressure or clear water conditions. The trailer is also ideal for Chatterbaits when you want to fish the blade jig in vegetation because the grub is streamlined and glides through the grass. Bulky trailers or ones with appendages tend to cause your bladed jig to bog down in the weeds. This is the first trailer you should try because it will catch both numbers of bass and quality fish. This soft jerkbait is an ideal bladed jig trailer year round, but it really shines in summer, fall and winter when bass feed mainly on shad. 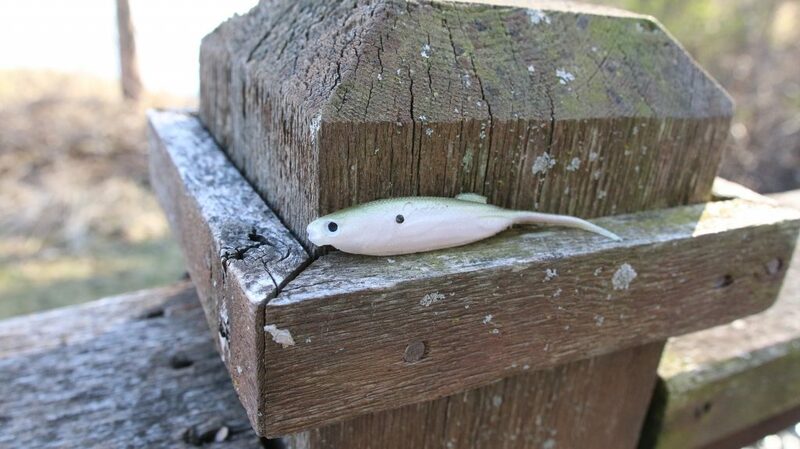 When attached to the back of a Chatterbait, the Fluke imitates the same gliding action as a swimming shad. Try this combination any time you see shad flicking on the surface or balls of baitfish on your electronics. Throw it around shallow cover such as rocks, grass and stumps to catch bass ambushing baitfish. A plastic craw with flappy appendages adds bulk and action to your presentation. The craw is an ideal trailer for many occasions but probably works best in dirty water situations. 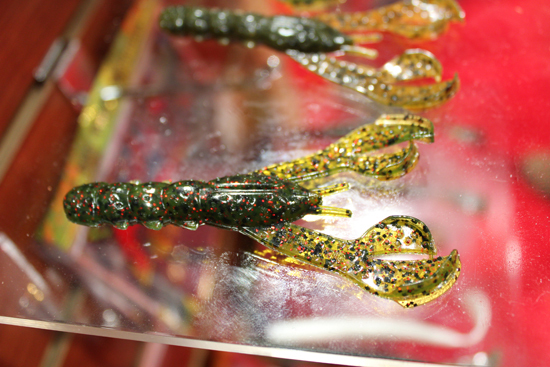 A craw attached to a bladed jig moves more water allowing the combo to work on a slow retrieve. So the combination is effective in both cold and hot water because it can be slow-rolled or dead-sticked to tempt lethargic bass into biting.